From a full-body massage to concentrated neck and shoulder jets, your hot tub is tailored to fit the spa experience you want. Lounge seats allow you to sit back and enjoy your water massage, while controlled jets deliver the pressure you want. What is better than listening to your favorite music while relaxing in your very own hot tub? Our hot tubs come with an optional Fusion Sound System that includes Bluetooth capability, so you can stream your favorite music or watch your favorite shows from your smartphone or tablet. Marine grade speakers make this system sound great and last. Whether you choose underwater LEDs or a color kaleidoscope, your lighting system should reflect the type of relaxation experience you want. Topside controls allow you to enhance and change your lighting experience. Our spa models come equipped with control panels that allow you to adjust the pressure levels of your massage. Jets can be programmed to release a variety of massage patterns to suit your comfort level. With personalized hydrotherapy, you get the benefit of choosing the massage that works for your body. Our spas are equipped with numerous jet configurations and jet faces with specialized functions to work with your hydrotherapy needs. Choose from a full body massage or a more targeted approach with different shoulder and neck jet configurations to deliver optimal muscle relief. Quiet places aren’t always abundant. 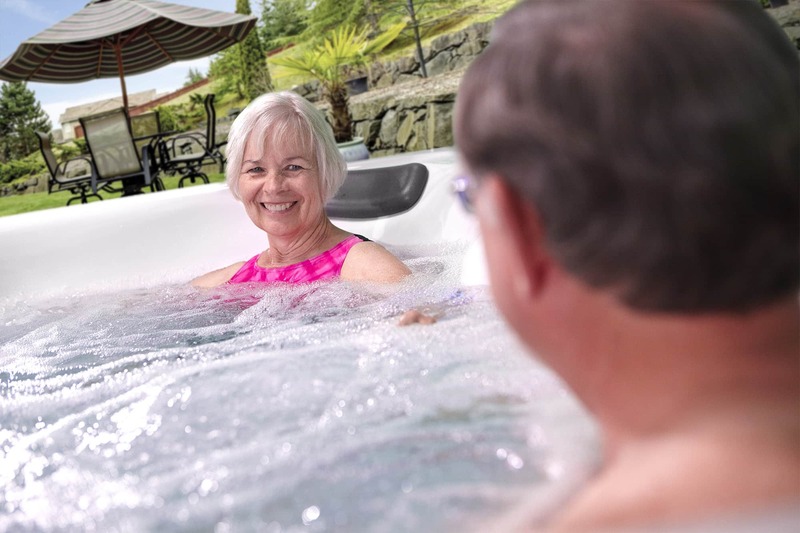 Our spas and hot tubs are equipped with a Noise Reduction System (NRS) that reduces pump and motor vibration by 150 percent, making that quiet place more attainable, and your relaxation achievable.